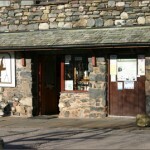 The Barn Door Shop is a focal point for walkers and climbers visiting the valley and suppliers of equipment to the Wasdale MR team. The team were called out by the police to rescue two 16 year old lads who were stuck on the summit of Scafell Pike in gale force winds and driving rain. They had camped overnight above Cam Spout and their tent had been blown down. They had made their way to the summit and although wet through were keeping reasonably warm in their sleeping bags. They didn’t know which way to come off the mountain so had called the police. The team went out to locate them on the summit and walk them back down. 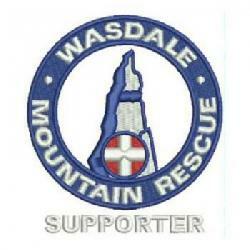 They were taken back to the Gosforth Base and, as they were on only dressed in the dry thermal clothing that the team had taken up for them, they were looked after by one of the Wasdale team members whilst their parent were contacted and drove up from Preston to pick them up. Their original plans had been to camp a further night at Coniston before catching the train home. Weather conditions were extreme over this weekend with high winds, heavy rain and swollen becks. The incident was closed at 4.45 p.m. Incident started at 11:30 and ended at 16:45 making 5.3 hrs in total.